Comment - Time cut me short. Only hiked to 8000 ft then dropped into a ravine on the north side and rode down to hwy 2. 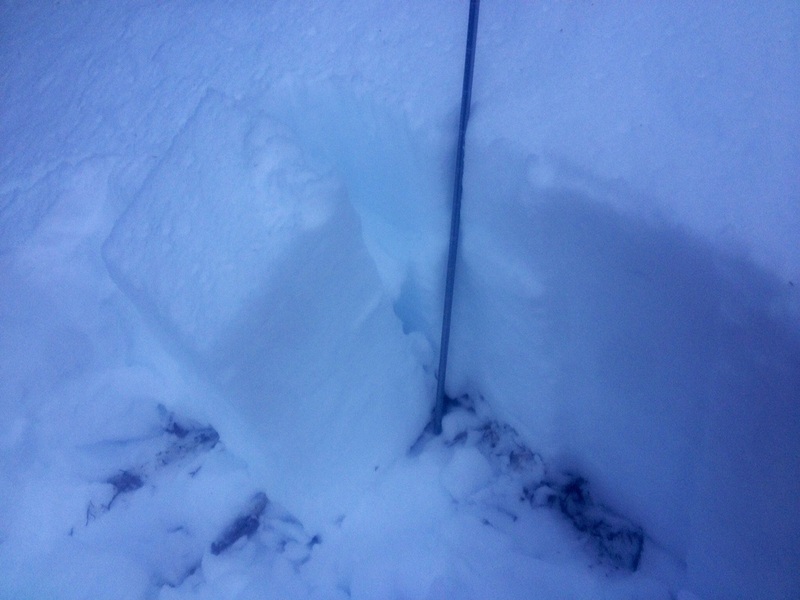 Lots of bigger chunks of snow from all the rollers towards the bottom and in the middle of the drainage the whole way. 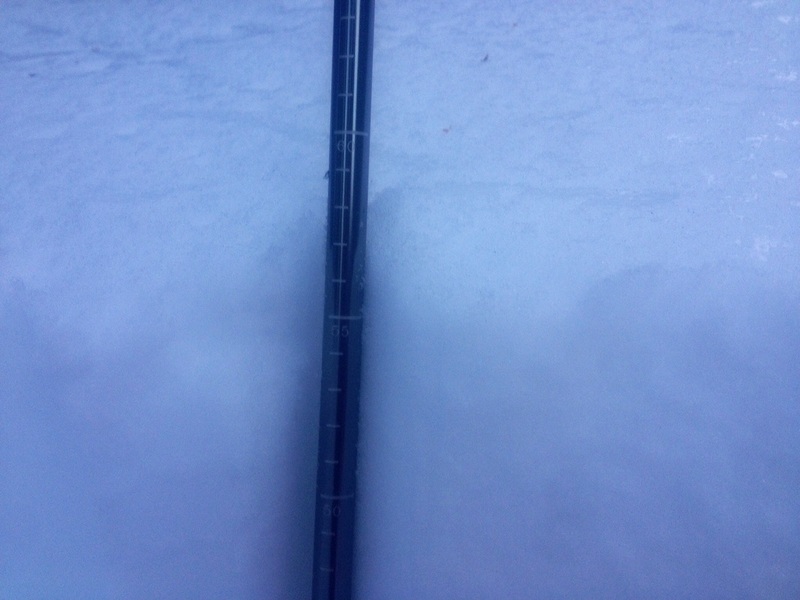 Overall good snow. A little heavy but stable. Still hitting some bigger rocks towards the bottom as well. Compression test no results. Entire column broke at base when pulling fairly hard.